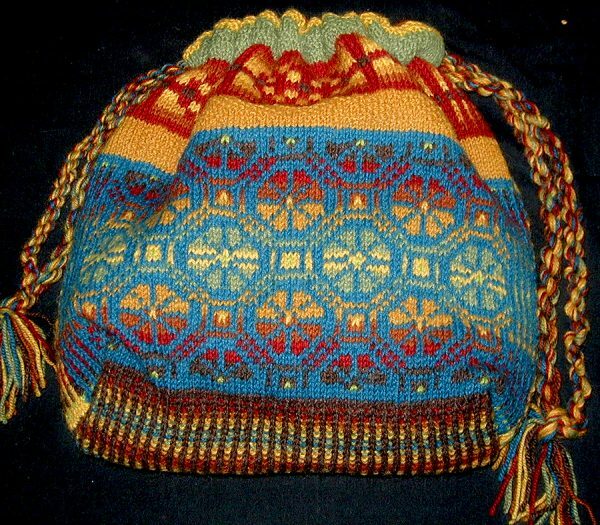 Knit this bag while gaining many skills in the Continental method. 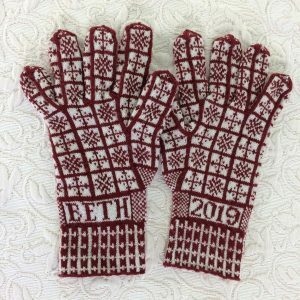 The pattern includes over 30 photos and explanations for yarn manipulation (stranding on the right side and the wrong side, weaving, corrugated ribbing), while holding the yarn or yarns in the left hand. 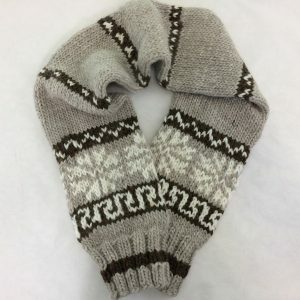 The Fair Isle Bag is an intermediate to advanced color knitting project and is intended as a learning experience by knitting the bag flat for practicing knitting and purling in two or more colors, but you can also knit it in the round. The pattern emphasizes the many applications of the Continental knitting method, but the bag can be knitted in the English style as well. There are alternate directions at the end of the pattern for knitting the bag in the round. The accompanying charts are in color. The bottom of the bag is worked in Corrugated Ribbing for strength and durability. The bag closes with twisted cording made from the yarns. The bag measures about 11″ (28 cm) wide, 3.5″ (9 cm) deep, and 11.5″ (29 cm) tall. 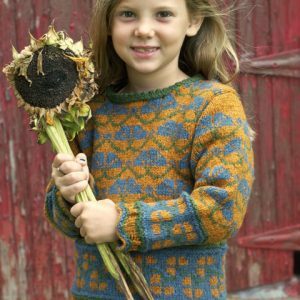 This kit includes 9 skeins of RAUMA Strikkegarn (100% wool from Norway) and the pattern to knit the bag flat or in the round. 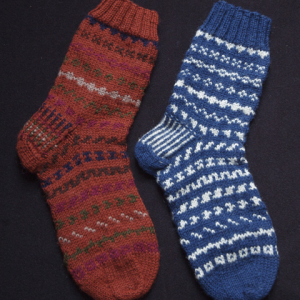 28 sts and 30 rows = 4″ (10 cm) in two-color St st on larger ndls.